The latest production by the duo Modell Doo – the concept album Orbit Utopia – deals with 12 compositions and biographies of visionary scientists of five centuries. Each track is named after the personality portrayed (Coombs, Le Prince, Fragonard, Rafinesque-Schmaltz, Grebennikov, Cunitz, Dietrich, Derbyshire, Driscoll, Bourdais, Meckel, Konrad). 10 of these persons lived between 1610 and 2001, two of them are characters of novels by Jonathan Lethem and Thomas Bernhard. All 12 worked on the borders of arts, technology, politics and esoterism. The style of Orbit Utopia oscillates between electronically defined post-punk, dark noise-thrusts and delicate pop-experiments. 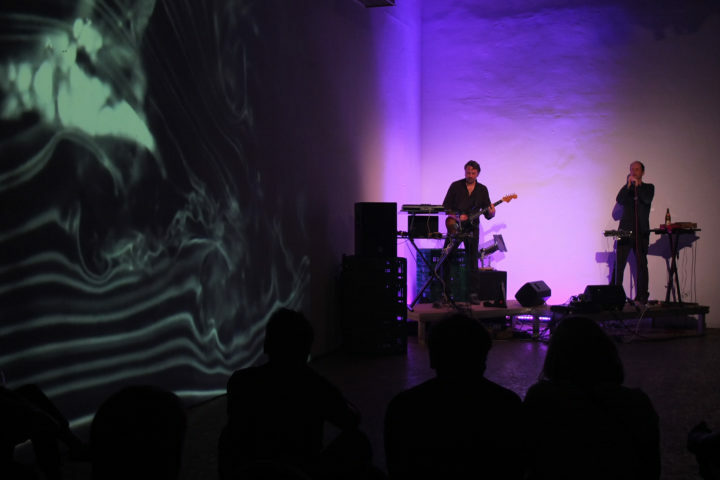 The album presentation will be accompanied by video-loops by the artist Michael Grill especially created for this evening. The actor and playwright Thiemo Strutzenberger will expand the room for associations with own texts related to the topic.